What if you could have salon-style microdermabrasion for a fraction of the cost – andat home? RejuvadermMD, the best-selling product from Trophy Skin, makes that possible. It doesn’t cost an arm and a leg, either. 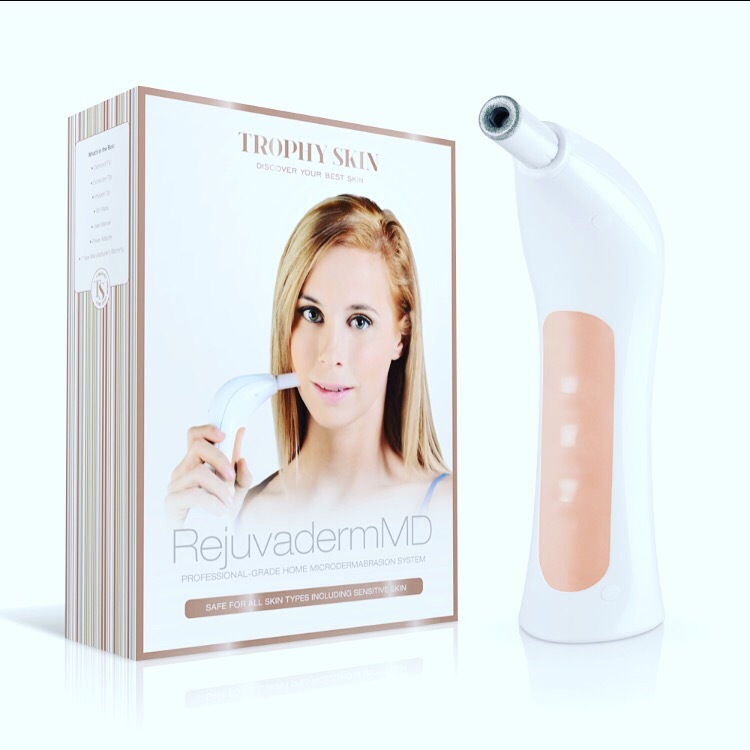 The RejuvadermMD by Trophy Skin is an in at-home skincare machine, for the first time offering a professional microdermabrasion device that can be used at home. The MicrodermMD offers a fast, gentle, and extremely effective microderm treatment. Using the very same technology as professional equipment found in spas and salons, the Microderm MD uses finely compressed diamond peeling tips combined with a medical vacuum mechanism to gently, safely exfoliate and remove dead skin particles and dirt from the treatment area quickly. In addition to exfoliating, the RejuvadermMD can push skin care products further beneath the skin and remove black heads with the included infusion and extraction tips. 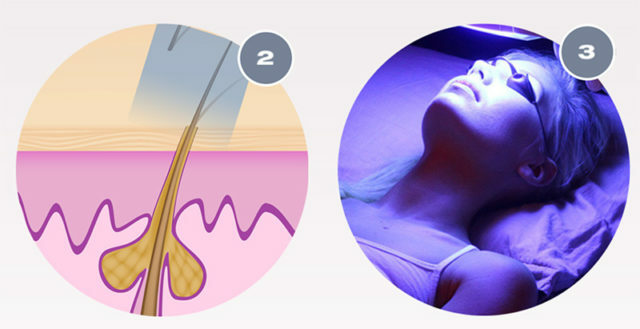 A 5-10 minute treatment a few times per week is all that is needed to achieve smooth, glowing, radiant skin! The device offers 4 power levels of exfoliation, so you can choose your comfort level and get the best possible skin exfoliating treatment depending on the area of the face or body you are treating. The RejuvadermMD allows you to experience the same professional quality treatment offered by Salons, Spas, and Dermatologist offices in the comfort and convenience of your own, private home. MyTopFace experts tested this product intensely and left is with an amazing experience plus soft skin. Excellent investment we say. There are many people that suffer from acne problems. Some are teenagers and some are adults. BlueMD from Trophy Skin is an acne treatment device that uses a combination of red and blue light to treat acne in the comfortability of thor own home. This technology has been put to use in the treatment of acne blemishes, for close to a quarter of a century. However, the technology is reasonably inexpensive and highly effective to the average acne sufferers. Results are amazingly fast. Reduce problem acne in less than 30 days. 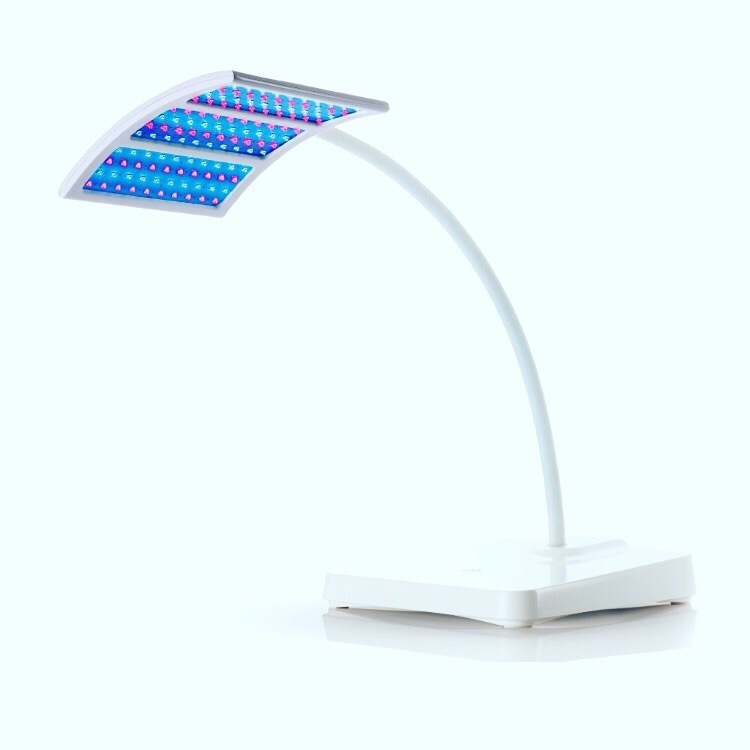 What it does to your skin is as follows: BlueMD Light Therapy uses a proprietary, bulb that emits the exact spectrum of light needed to kill acne causing bacteria. Trophy Skin is used to prevent acne breakouts before they form, reduce the problem of acne after it has formed, permanently reduce or remove acne from your life in overtime. The light causes the bacteria to die, which in turn shrivels the acne problem on your skin. Us experts at Mytopface couldn’t be more excited about these two beauty product that we know is a proven anti-ager and we are thrilled that we can share our experiences of many people suffering from early wrinkles and acne.